TimeZone : Public Forum » Thanks for the suggestions! Farther down the page I asked for help choosing a watch for my teenage boy. 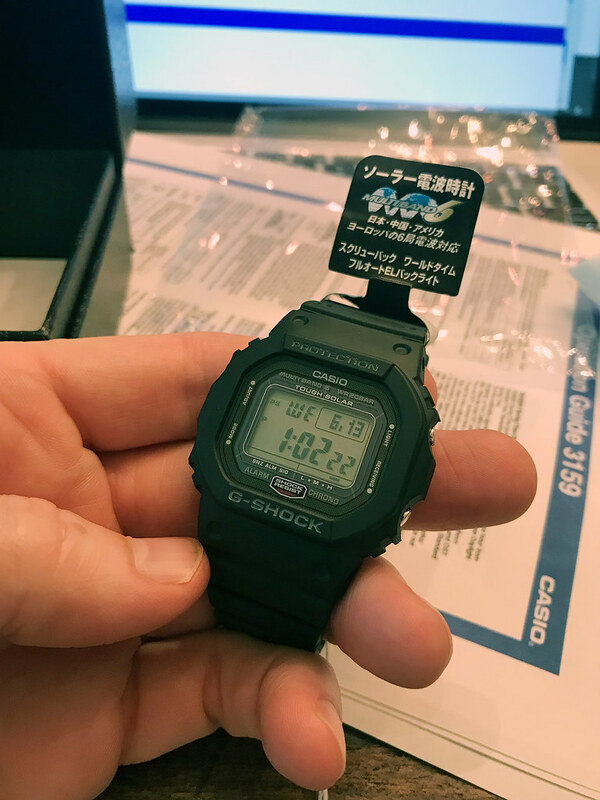 I ended up getting this tricked-out anniversary G-Shock, and it's great! I showed my kid pics of the top five watches I had in mind, and he liked the G-Shock best. I've had two versions of this watch. One was from around 1993 with the very poor backlight. At some point I left it in a locker room by accident, went back minutes later and it was gone forever. I suppose considering how expensive this hobby can be, at least it didn't happen to something worth more but still, it made me sick that I'd been so careless as I loved it to pieces. Replaced it with the then current model with upgraded indiglo backlight and wore it for quite a long while - long enough for the resin case to start falling apart. As already mentioned, your son has great taste. Thanks for the post - it's got me wanting one of these again. Edit: The post makes me want one of these anniversary models. These look great. Fantastic choice, thanks for sharing. Very nice thanks for sharing. Great choice there buddy, thanks for sharing. Previous Topic: Old photo but wearing this for WSW.What have you got on? Next Topic: Can you have more then one grail watch?